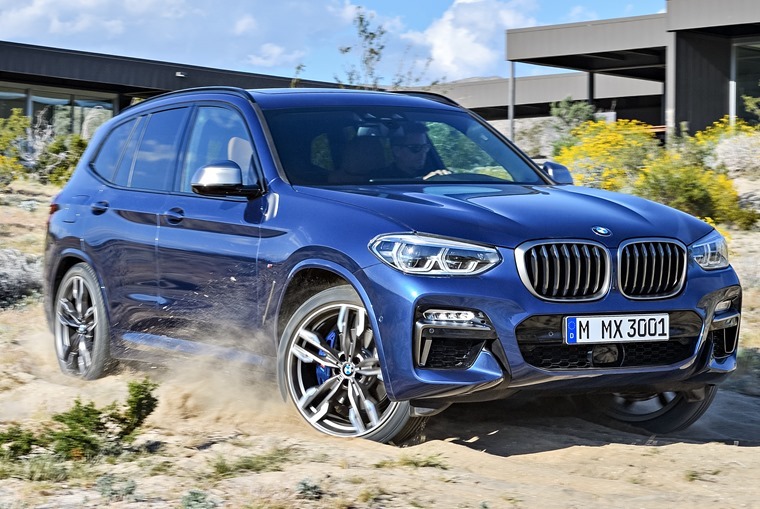 The new refreshed BMW X3 is now available, with leasing deals priced from less than £400 per month. Featuring updated styling, enhanced engines and a roomier cabin, it’s se to take on Audi’s latest Q5 and Mercedes’ GLC in the increasingly crowded premium SUV market. Externally, the front has received a serious makeover courtesy of a new, wider grille and bolder headlights. 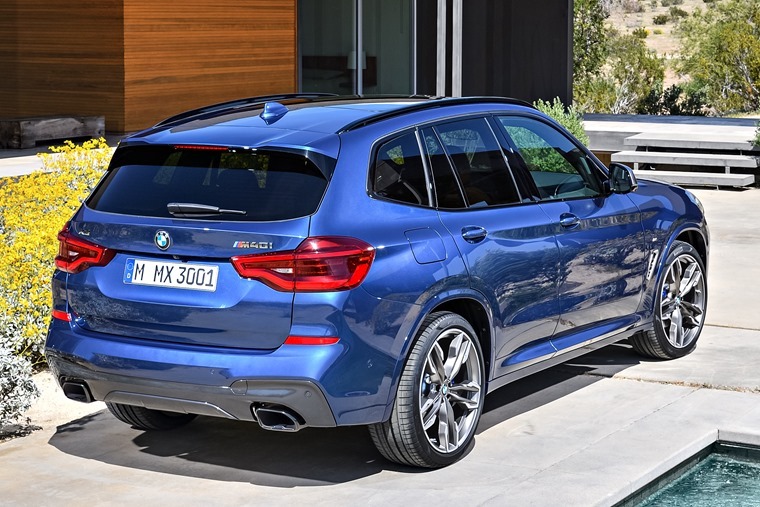 The bonnet is more angular and the wheel arches are more flared, similar to the latest X5 in design. At the rear changes aren’t as dramatic, although a fresh set of LED tail lights and curvier back end give it a much more contemporary demeanour than its ageing predecessor. 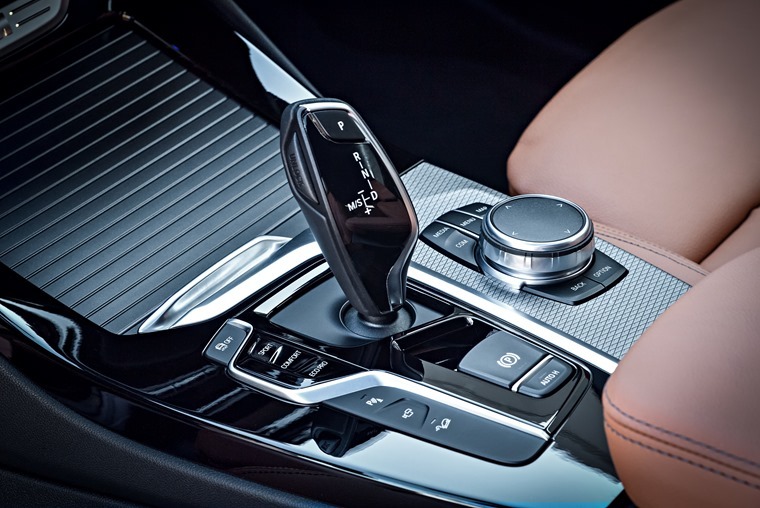 The interior has taken a serious step up too, with a new dashboard design and quality soft-touch plastics bringing it up to scratch with rivals like the Q5. 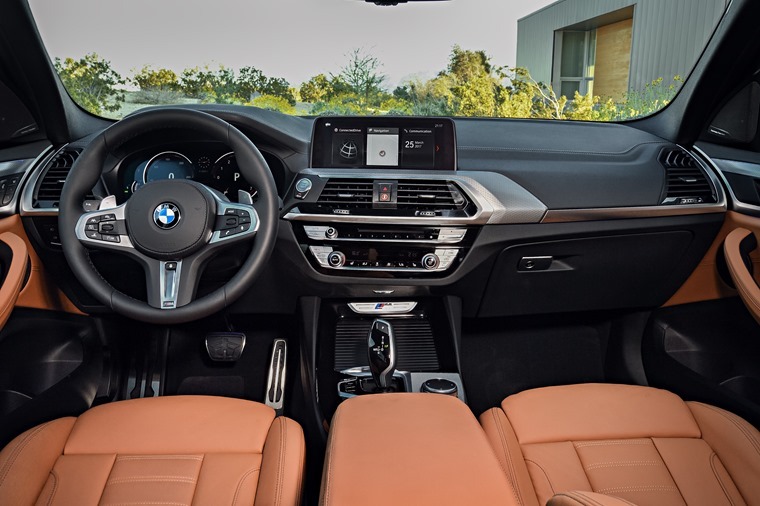 Other features include ambient lighting, a new climate control system and ventilated front seats, while different versions of BMW’s iDrive infotainment system are on the options list too. This means the likes of a head-up display, gesture controlled satnav and even CoPilot which could add semi-autonomous technology. We’ll have to wait for more details on that though. Like other recent BMWs, the new X3 is also available with a “Display Key”, which adds extra features to the keyless fob including a screen giving key info on the car’s location and even how much fuel’s in the tank. 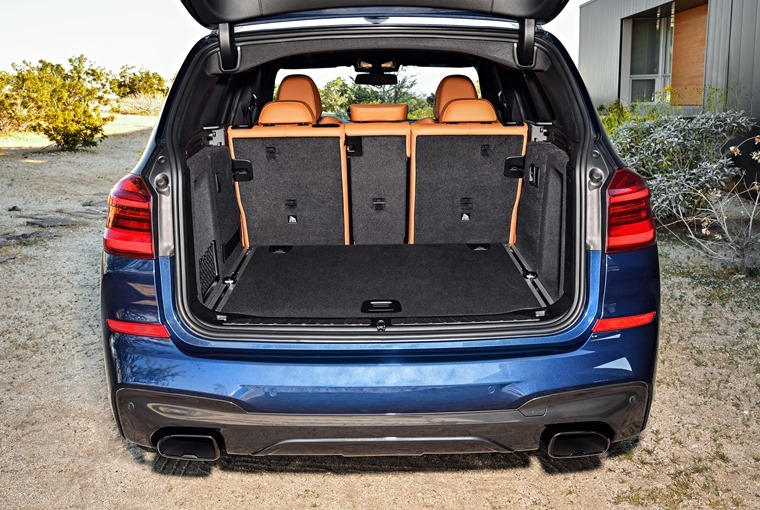 Despite weighing in 55kg lighter than the outgoing car, there’s more room inside, with extra space for rear passengers and an impressive 550-litre boot – on par with other key German rivals. Engine-wise three models will be available at launch, the entry-level option being a 2.0-litre 187bhp diesel. 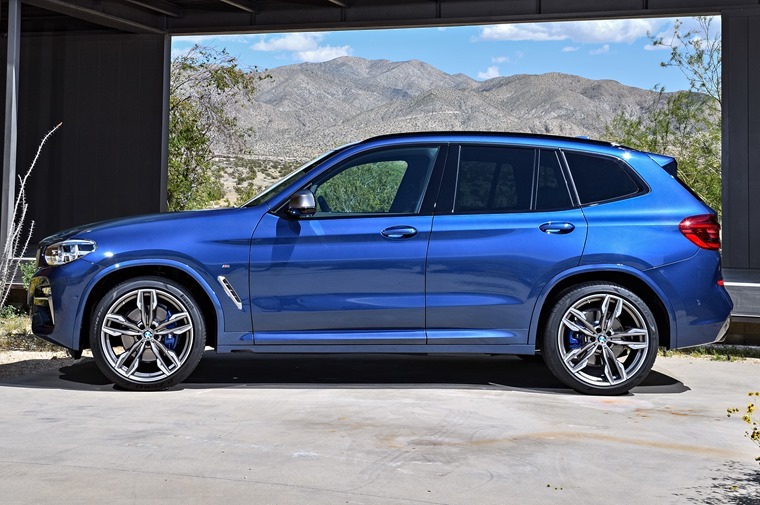 A 3.0-litre six cylinder diesel is also offered producing 262bhp, while the range-topping variant is a 355bhp M40i 3.0-litre twin-turbo petrol. The smaller diesel is capable of 52.3mpg, while the larger variant manages 47. Things are a little less economical when it comes to the petrol however, which manages just 34.4mpg and produces between 188-193g/km of CO2. Sitting on BMW’s CLAR platform means the X3 actually has a lot in common with the latest 5 Series saloon, which hybrid and EV tech further down the line, as well as a range-topping X3 M that’s likely to get a 3.0-litre tri-turbo V6. Personal leasing rates for the new X3 start at less than £400 per month. If you fancy something a little sportier than the X3, there’s the all-new X2 to consider too, which is also available to order.